BRAND SERVICES is proud to announce that it is now an established Elite Channel Partner for PrimexOneVueTM Wireless for the Eastern United States. Recording – temperature / humidity / differential pressure per regulatory requirements. Reporting – automated reporting and record keeping for regulatory audits. Alerting – via automated phone messages, text, e-mail, paging, and audible alarms to initiate action for asset protection. Cost Savings -reduce costs of BAS enterprise solutions. ALL OR’s, Cath Labs and Central Sterile Areas. 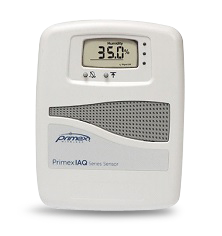 The Primex OneVue™ Wireless Intelligent platform helps support compliance and asset protection with wireless temperature monitoring equipment and software. The new Primex product line fits within BRAND mission of Protecting Lives and we are delighted to offer our customers this product line.